I'm dreaming of summer and feeling the end of the year panic at the same time. It does seem that after 15 years, I'd get the hang of this end of the year thing. Turns out not so much. I'm still neck deep in assessments and my to do list is making me feel a little sick to my stomach. I decided to link up with three fabulous bloggers for the Summer Bucket List linky party. You know...past 5 a.m. and without a to-do list racing in my head. Oh how I love to sleep. I have these cute little bins behind my desk that say copy, file, revise for next year. The one that says file is barely visible at this point. Before my kids had "way too many" evening activities, I used to file everything in the file bin back in the right place in my file cabinet once a week. I have not touched it since September (except to add to it). 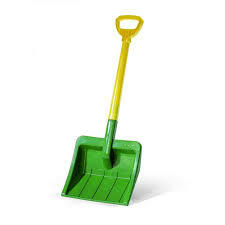 I need to dig out at home too (my office/craft room, the kitchen counter, my closet). They are all full of piles of things to take care of "when school is out". I have at least 5 books just waiting in a basket by my bed. The kind that you don't have to read aloud. The kind that don't have to be a mentor text for anything. The kind that I never get to read during the school year. with biking, swimming in the lake, campfires and long walks. so I can still blog and work on fun stuff while I'm in the woods. We're also going on an 8 day cruise this summer. knee deep in poop with barely enough food. so I'm sure it will be fine. I'll be taking my cute rain boots just in case. I have a list of things I want to make this summer. Having time to make some of the things on my list sounds heavenly. I don't really want this on my bucket list, but it needs to be. I like to take walks, ride my bike, play sports with the kids. But this whole thing about being forced to exercise (so you can fit in your clothes) is a bit much. But...I'm turning 40 this year and it is necessary. That is my OLW for 2013. I'm gonna practice it this summer. 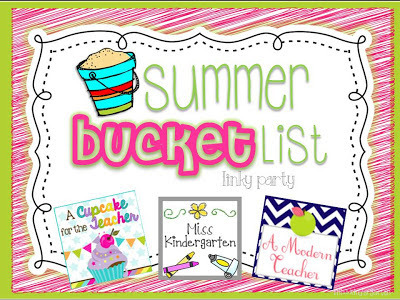 You an join the Summer Bucket List linky fun by clicking on the image at the top of this post! What a lovely summer bucket list! Isn't it funny that we always say "I'll leave it until summer" or until the weekend in my case - then I just end up with too much to do! Enjoy your time in Michigan and on you cruise, so great times to relax! It seems we have so many things in common, especially the piles to be filed and lack of sleep for 9 months! Here's to rest, relaxation, and a fabulous summer! I hope you have a great summer! We're almost there! Lots of fun stuff on your bucket list! I love to cruise too. So much fun and sun!! Enjoy! Have a wonderful summer! Extra sleep sounds really good! What a great list!! So jealous of your vacations!! :) Have a great summer! 15 days of camping in Petoskey sounds amazing! Northern Michigan is gorgeous in the summer! !